Lines are plentiful this spring! And if stripes are your sartorial fear, it’s time to conquer this style! 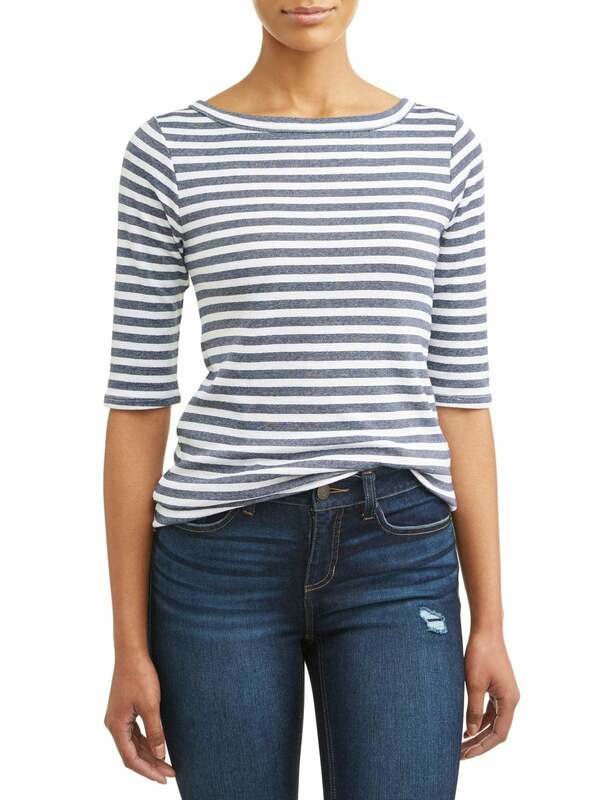 This season, apparel lined with bold strips (Not a typo. The word is used here as an alternative to stripes similar to bands, lines and other words used throughout the article.) and narrow bands should be added to your closet for added pop. As Walmart dresses America with quality, budget-friendly fashion finds, there is a vast assortment of trends to insert into your look. 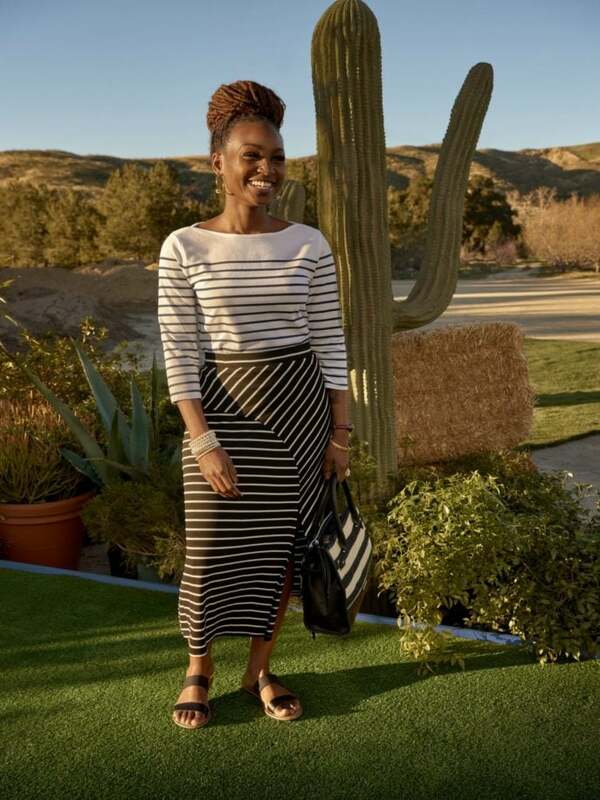 Here’s how to get into this geometric look with Walmart’s spring collection. Horizontal stripes aren’t your worst enemy, sis. In fact, they’re a major fashion statement this spring. 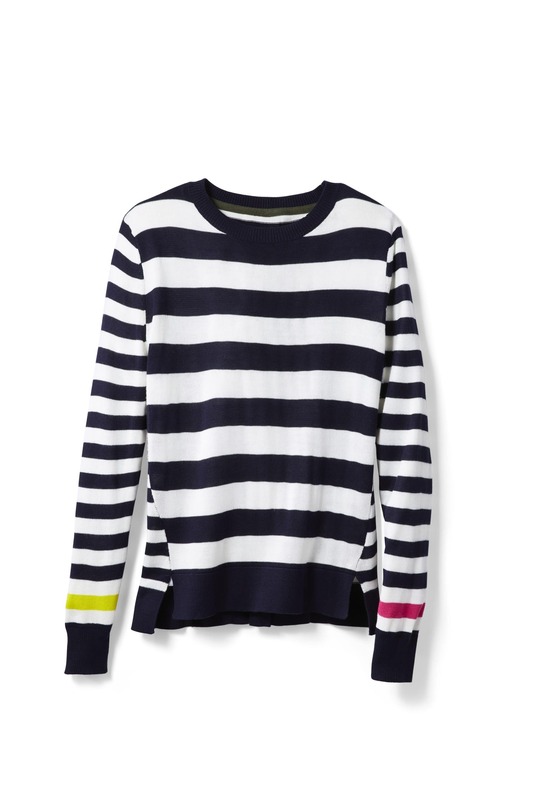 Step into a lined sweater that sports a raised hem in the front and hangs a little longer in the back. The figure-flattering high-low silhouette will be a go-to all season. Embrace the coming of warming weather by letting your shoulders breathe. 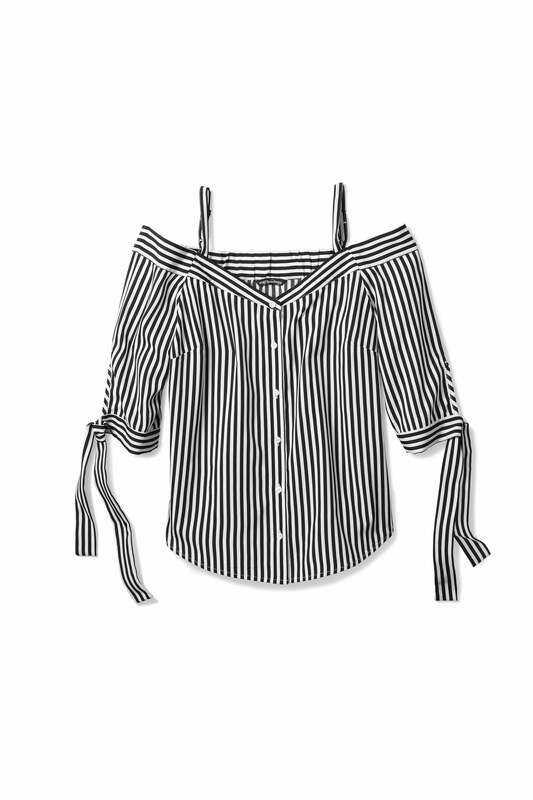 Reach for a breezy tie-sleeve top that boasts thinner lines. 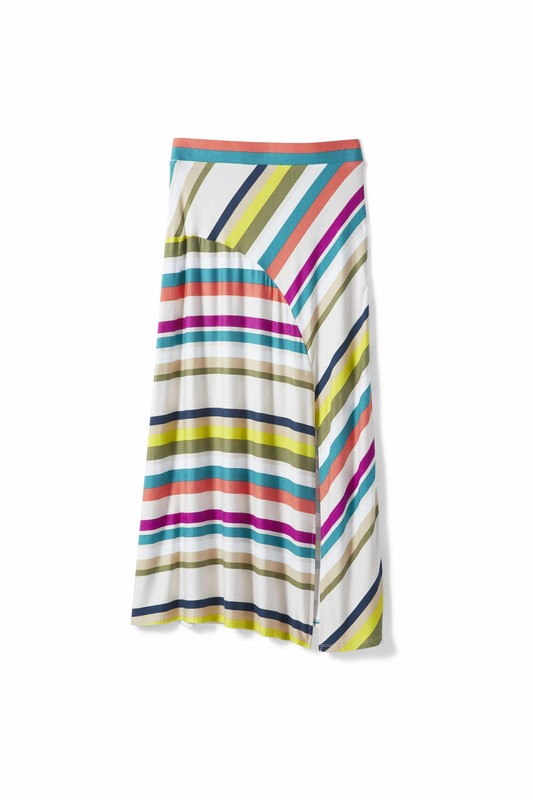 Vertical stripes won’t steer you wrong as they’ll give you a snatched appearance. Say hello to a welcomed collision of spring trends! 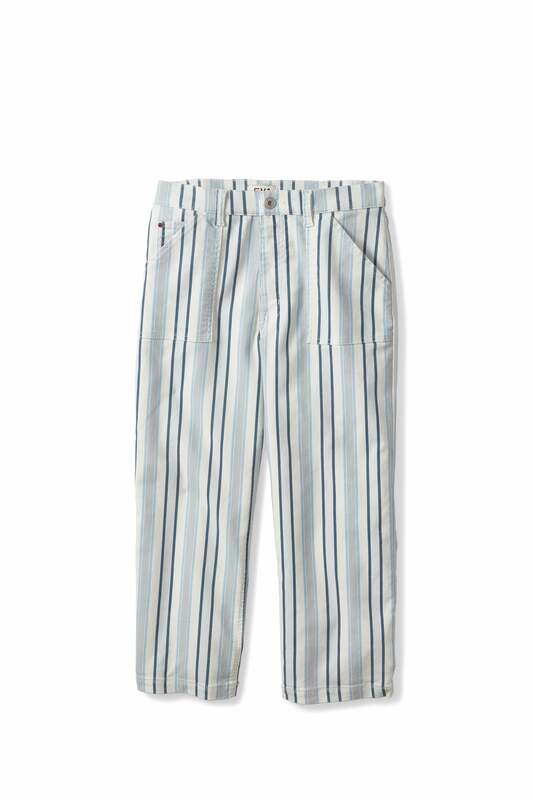 While denim (link to denim trends post) already comes in a variety of attention-grabbing styles, a spectrum of cool-hued stripes on a wide leg pant makes for an even more striking statement. Leave mini skirts for the summer months -- midis are having a moment! Opt for a colorful combo of diagonal, vertical and horizontal stripes that act as a neutral, minimal look you can rock for a Sunday Funday or a girls’ night out.